Located in the middle of the beautiful Maasduinen National Park is the Landgoed Bleijenbeek. A spacious, open and friendly location for the party you have in mind. Landgoed Bleijenbeek is accessible and unique in a peaceful, romantic environment. We can help all sorts of groups, both big and small. 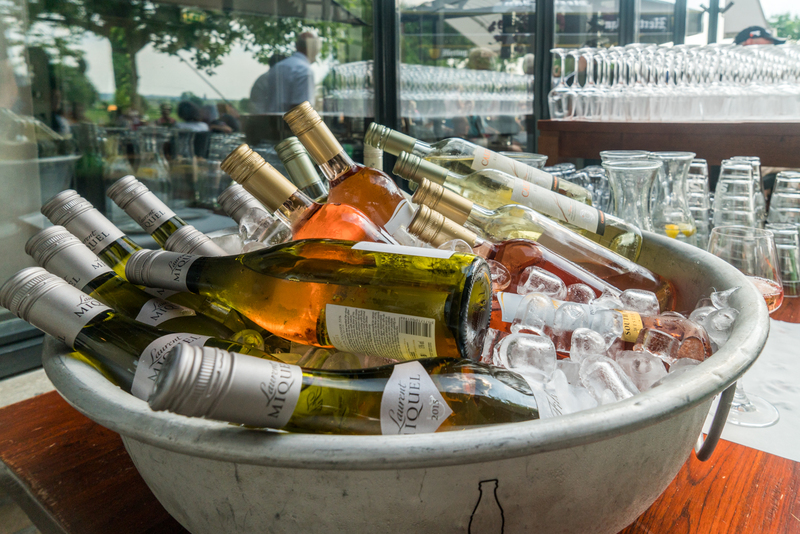 As a party location we can provide you with the right space. We can section off a portion of the restaurant (and terrace), so that you can entertain your guests in a private setting in the middle of Landgoed Bleijenbeek. Of course, it is possible to add an athletic element to your party and organise a trip to the golf course. This is a popular option among guests at Landgoed Bleijenbeek. 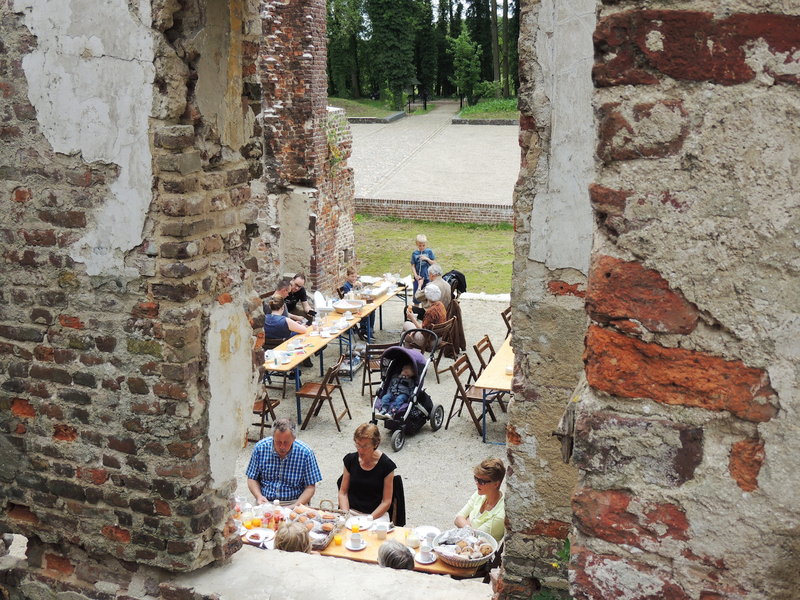 There are often supagolf tournaments, golf lessons and walking tours – some including a tour through the ruins. If you would like to use the restaurant, you can opt for a buffet, a mix of various snacks or a special menu for your guests, in collaboration with our dedicated kitchen staff. Are you looking for a unique and memorable wedding location? Landgoed Bleijenbeek is an official wedding location in the Bergen municipality. Landgoed Bleijenbeek offers you a beautiful and, above all, unique wedding location in the Bleijenbeek castle ruins, located on the Estate. You feel as though you’re in a green, natural and historical area while you enjoy the ambiance of the national park and the culture-rich region. 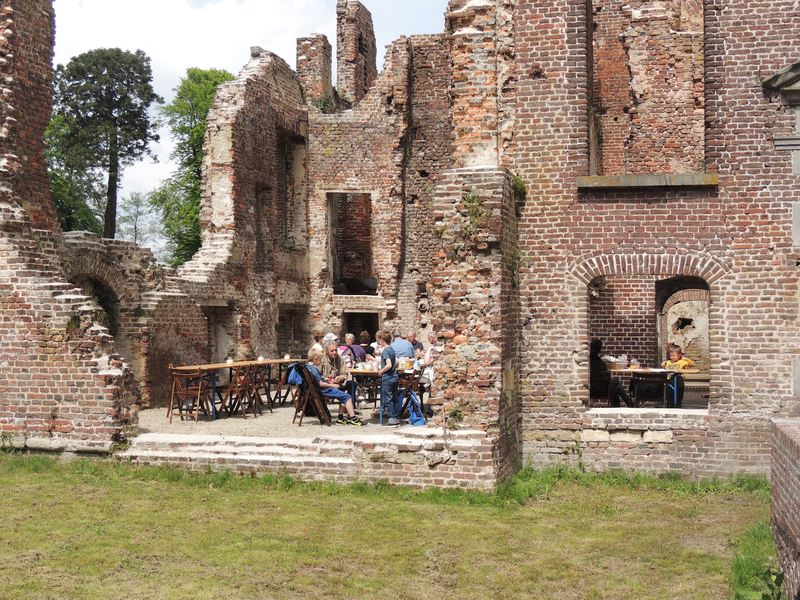 The Bleijenbeek castle ruins are a wedding location with history and will ensure an unforgettable special day. Landgoed Bleijenbeek is the ultimate location athletic outings. With a wide range of choices on and around the Estate, you’ll be sure to find a fitting athletic activity for you and your company. We can provide for you for company parties, small and big family and friend parties, children’s parties, or simply your own golfing event. 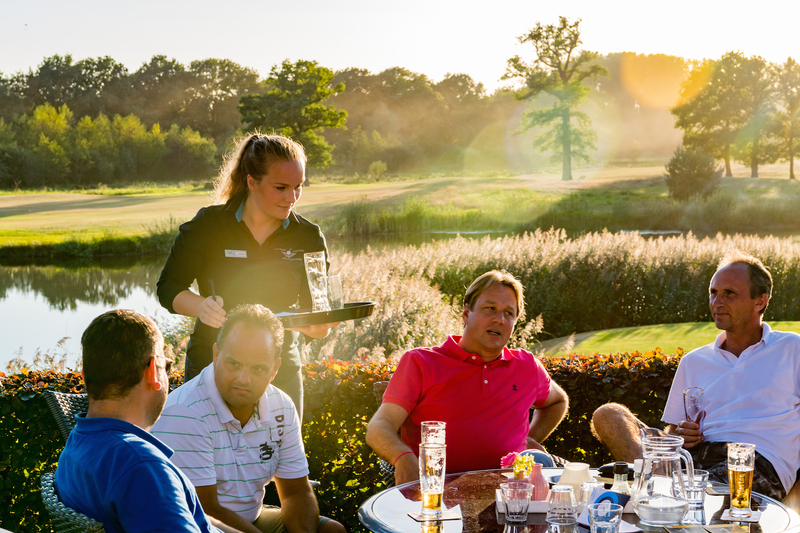 Some examples of the athletic activities that we can organise for you are: walking and cycling in the region, a tour through the castle ruins of Bleijenbeek, SupaGolf, golf lessons and golf clinics. Of course, you can combine your athletic outing with a visit to the restaurant. We can organise a reception before your planned event with lunch or cakes, or a dinner afterwards.